Located in the Fansipan tourism complex, the new Muong Hoa funicular contributes to perfecting and diversifying services and experiences for travelers to the northwestern highlands. It will connect 5-star MGallery hotel, which is open late 2018 in Sapa, with Sun World Fansipan Legend. These works will create a leading complex of entertainment, relaxation, shopping and tourism in Vietnam. 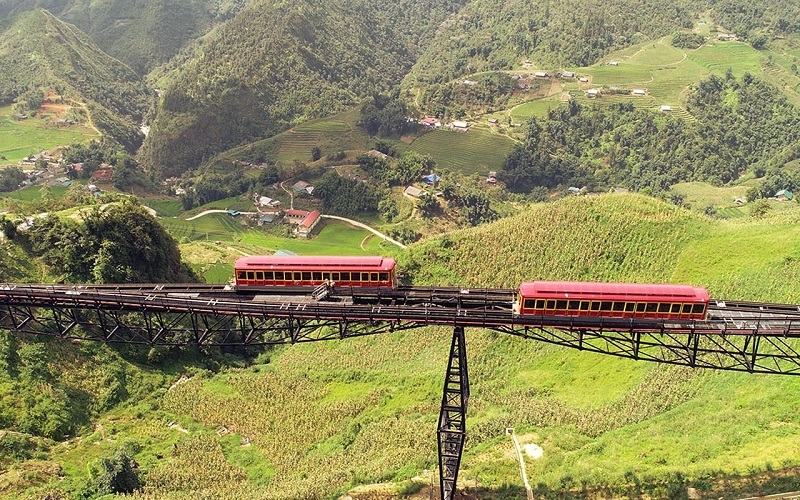 The longest and mosy advanced funicular railway in Vietnam allows you to admire without effort the extraordinary landscapes of this very famous tourist resort of Vietnam’s northwestern region. The 2-km funicular starts from MGallery Hotel in Sa Pa and crosses two tunnels and four viaducts to take passengers to the Fansipan Cable Car station. 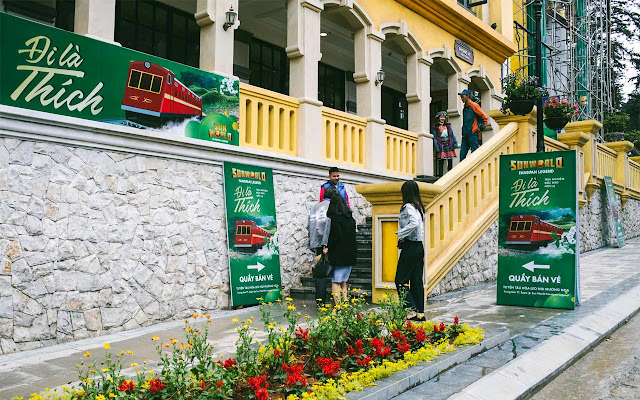 The mountain train will take tourists from MGallery Hotel in Sa Pa town, through two tunnels and across four viaducts to the Fansipan cable car station. Overthe 2km journey, visitors will have a panoramic view of the paddy fields in the Muong Hoa valley through their cabin windows. At the Fansipan cable car station, tourists will be able to explore the local market which boasts a wide variety of colourful brocade clothing and unique specialties. They can join cultural exchange activities with traditional music and dance program, and folk games. 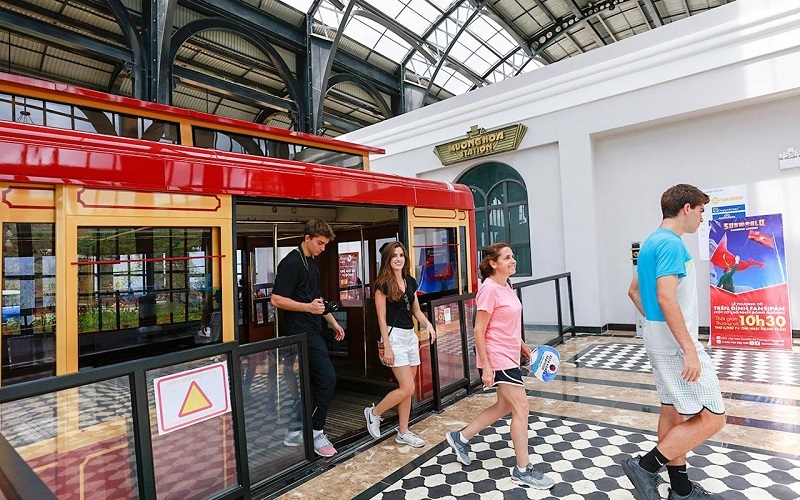 Concluding the funicular tour, visitors can continue their spectacular journey on the Fansipan cable car for an aerial view of beautiful mountain landscapes and green forests. The cable car will then carry tourists to the top of Fansipan, where they will be up among the clouds with a thrilling view of the world below. 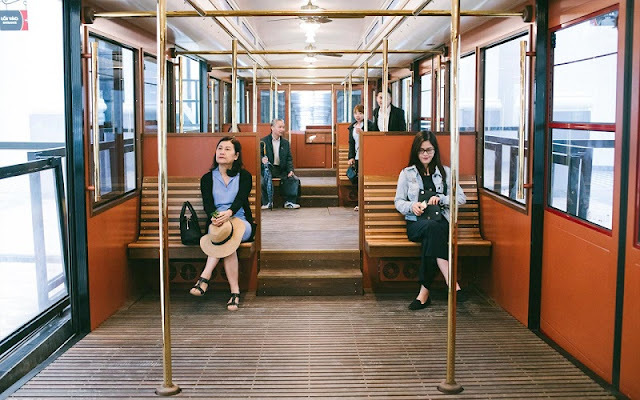 This will create a great chance for tourists to experience the most modern funicular in Vietnam and then discover the Fansipan peak, the roof of Indochina. Now, Sapa will have more experience for you explore. Sapa tours will be the first choice for you during each holiday in Vietnam.